“The Pacifica Network is a vital cornerstone of our independent media landscape that depends on your financial support. Please donate today to safeguard the future of listener-powered community radio. Amy Goodman. Host and Executive Producer, Democracy Now! 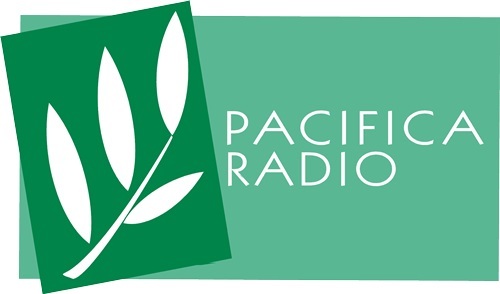 The Pacifica Foundation was founded in 1949 and is a pioneer for listener-sponsored, community radio. Pacifica’s mission is to promote peace and justice through communication between all races, nationalities, and cultures. The Pacifica Network is made up of five stations, belonging to the Pacifica Foundation. They are located in New York, Washington DC, Los Angeles, Berkeley, and Houston. The Affiliate Network contains nearly 200 independent community radio stations. We broadcast via satellite, and internet through Audioport. With such a long, rich history, Pacifica Radio Archives has become one of the most extensive and important sound archives in the world. We energize independent community radio through collaboration, interactivity and program exchange throughout the network. We have broken pivotal news stories and brought issues and artists to the spotlight that may have been overlooked. Pacifica’s mission is to be self-sustaining. If you support grassroots and independent media, then donate now. Help us support community, college, LP, rural, and urban station around the world. Donate today and know that you help to strength communication to the people.